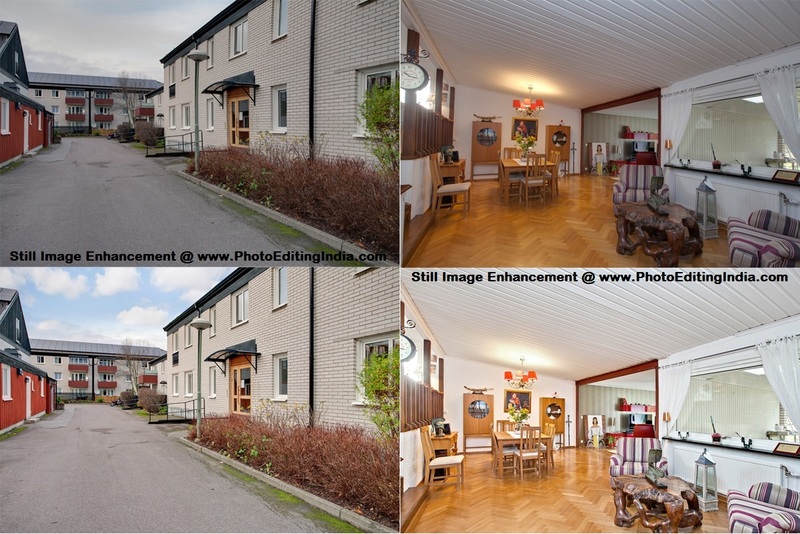 The main objective of image enhancement is to process an image so that the result is more suitable than the original image for the specific use to which it is to be put. Digital image enhancement techniques provide a multitude of choices for improving the visual quality of images. 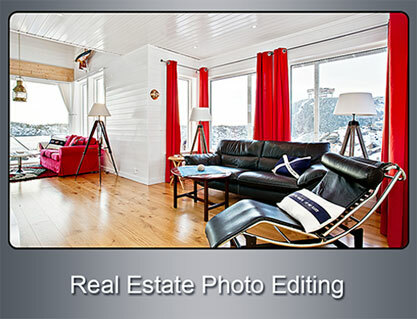 The various steps involved in Real Estate Photo Editing are tone mapping or HDR blending, color balancing, adding sky, grass and other objects as required and removal of unwanted objects like bins, carts etc., correcting perspective issues apparent with wide angle lenses, image stitching, photo blending, panorama stitching and much more. Another important issue in real estate photography is the ever present dust and removal of its unwanted images in the photo. Human eyes are more adept at adapting to changes in levels of light more than cameras. We do not so much sense the color of the light. Subtle changes in the incident light can leave a color cast on your photo not necessarily detected by human eyes. Basically white balance adjustments make gradations in the white more visible. When white changes to black it does not do so abruptly but over a range of grays and the right white balancing will highlight the shades of grays. It will highlight the colors also. Fortunately modern cameras can make a wide range of white balance settings and also set the near ideal setting automatically. Post photo white balance adjustments are done by well trained and experienced people with the help of powerful software programs. Some time we see hue of color spreading across a photograph spoiling an otherwise good one. This unwanted color is called color casting. Our eye adapts well to changes in intensity light but often fail to deduct subtle changes in the color of the light .We perceive colored light more as deviation of the natural sun light. The sensors of a camera do not correct or compensate for the incident light. They simply measure the red, blue and green in the light. If these absolute values of colored light intensity are directly translated in print reflectivity values, or monitor brightness values, we will perceive color casts. HDR is dynamic range and it is basically just the difference between the lightest light and darkest dark you can capture in a photo. Once you exceed these limits of the camera the highlights tend to get washed out and dark areas and up as huge blobs of black. This is remedied first at the shoot and later at processing. A series of photos are shot at varying exposure and apertures. Then these raw photos are processed with the help of powerful computer programs to create a single image comprised of the most focused, well-lit, and colorful parts of the scene. If done well the results can be spectacular. In conclusion it needs to emphasised that all the above mentioned steps need skilled personnel with an artistic bend, great skill, good training, expertise and experience. It is evidently imperative that it is best to employ professional groups to execute bulk work. One such group is Photo Editing India. The advantages in employing Photo Editing India are they have the up to date physical infrastructure and software and trained and skilled personnel to deliver high quality products within agreed time frames. The entire operation thus becomes very cost effective.